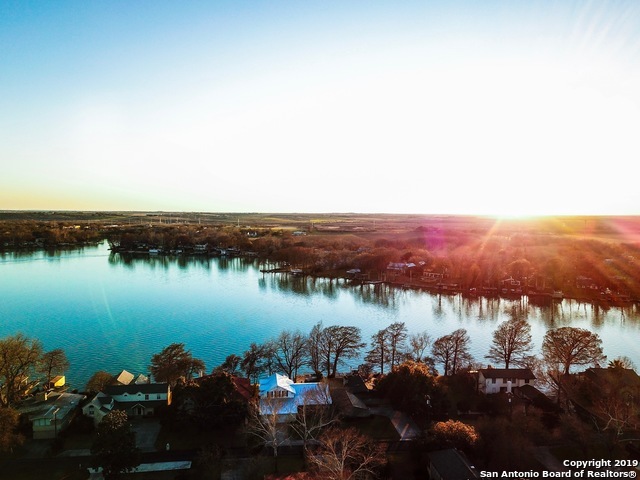 All Mcqueeney homes currently listed for sale in Mcqueeney as of 04/22/2019 are shown below. You can change the search criteria at any time by pressing the 'Change Search' button below. 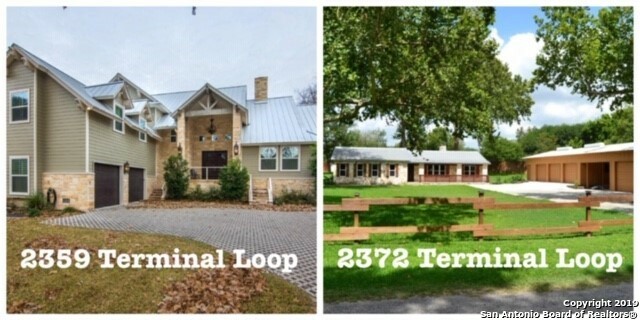 If you have any questions or you would like more information about any Mcqueeney homes for sale or other Mcqueeney real estate, please contact us and one of our knowledgeable Mcqueeney REALTORS® would be pleased to assist you. "Lake McQueeney Waterfront home in the Exclusive, Gated subdivision The Point at Lake McQueeney. Newly furnished by a professional decorator and is offered turn key. Incredible views in all directions. Premium location shaded with mature trees and awesome breeze. No expense spared in this 6 Bedroom, 6 Bath marvel. Multi Living areas. Chef Kitchen. Elevator. Screened Porch is conditioned on demand. Extensive outdoor decks and living areas. Outdoor Kitchen. Fire Pit. Negative edge Infinity Pool. Db"
"2 Houses! Lake McQueeeney waterfront Home plus Ranch style house across the street. 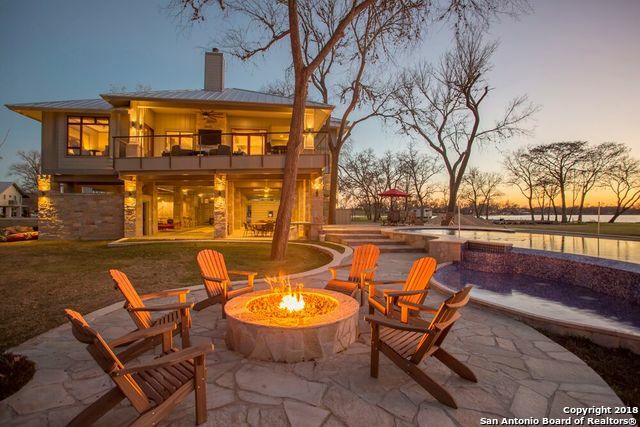 Waterfront Home features 4 Beds, 5 Baths and 4577 sqft. with attention to detail. Lake view from stunning Kitchen, Dining, Living, and Mst suite. Also features Office, Gameroom, Bunkroom, and Loft. Exterior Covered Patio, Boathouse, sundeck, dock, and In ground pool to enjoy. Home across the street has 3 Beds, 2 Baths, 2 Living areas, and lrg open Kitchen. Workshop and 5 car detached garage on 1.74 acres." "Luxury Lake McQueeney Home. Gated entrance. Built in 2014. Home features exquisite attention to detail. 26' ceilings. 4577 SqFt. to include 4 Bedrooms, 5 Baths. Beautiful chef Kitchen with island & Premium Appl. Rock Fireplace. French sliding barn doors. Upstairs Loft to include a Rec room with authentic barnwood ceiling and wall of bunk beds. Two 19-foot Cantina doors. Outdoor Kitchen. Covered Patio. Boathouse & Sundeck with 1200 sq feet with WiFi stereo. In ground Pool. 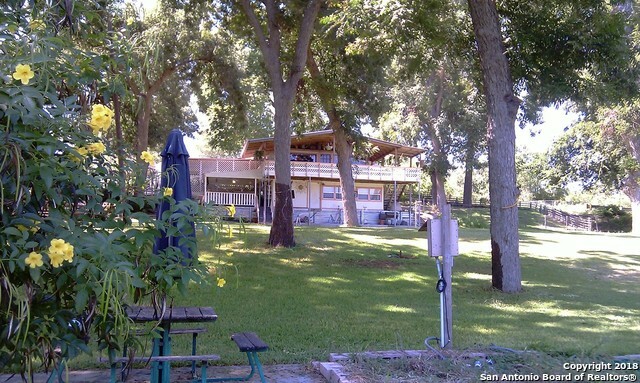 Commercial LED tree li"
"Stunning Lake McQueeney Home on 1.67 acres with no restrictions. 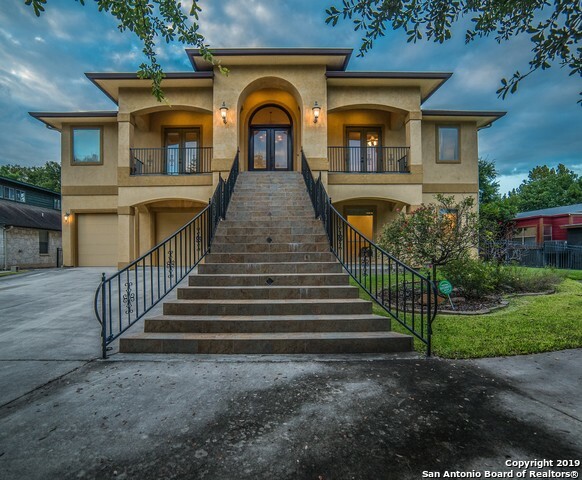 This home has it all, 4 Bedrooms & 4 Baths. Upstairs with private Lakeside Balconies and 4th Bedroom with full bath down. Newly remodeled exquisite Kitchen, Formal Dining, large open Living plus game room with dual sided Fireplace to Media room. 214'wf that features Boathouse, electric lift, Sundeck, Dock, Jet-ski launch, and numerous Patios. Gated entrance. Large side yard. Beautifully lush landscape. Luxury Lake Life!" "LOCATION, LOCATION-- Lake McQueeney waterfront with views overlooking the Main lake. Across from Treasure Island, property on higher side of the lake with gentle slope to the waterfront. Large open beamed living room with grand views of the larger water. The kitchen opens to family room/dining area. Split bedroom design with master bedroom opening onto a private patio thru Double French doors. Electric kitchen with large walk-in pantry for extra storage. Second living area has a ton of storage w"
"Lake McQueeney Waterfront home featuring 5 Beds,4 Baths. Gated Entrance. Grand windows to capture the lake view. Granite Kitchen with stainless steel Island counter, gas cooktop, dbl ovens with warmers,wine frig, and 2 ice makers. 4 Living Areas. Huge Gameroom with Kitchenette. Gym with Lake view and access to Mst Shower. Lakeside Cabana/Sunroom with A/C. Beautiful lush landscaped front & back. Breeze way to entertain & gather and relax in the Hot Tub. Boathouse. Dock. Lots of Storage. Workshop." "BEAUTIFUL Waterfront home located in the peaceful & established neighborhood! Plenty of Room for EVERYONE. This captivating property sits on 2 separate one half acre lots. Kitchen and Living Room with canned lighting throughout. Enjoy panoramic views of Lake Placid. 2 Jack-n-Jill Baths. Notable features include tongue & groove pine ceilings granite countertops majestic flooring, SS appliances/huge master/premium refrigerator. Use as Air BnB or as great summer home. Lots and Lots more. Come see"
"Lake McQueeney Waterfront Home. 4 Bedrooms, 4 Baths with 2894 Sqft. Open Living. Beautiful Island Kitchen with Dining. Master ste downstairs along with 1 guest bedroom. Beautiful hardwood floors. 2 Bedrooms upstairs with their own Bathroom along with Living & Game rm area. 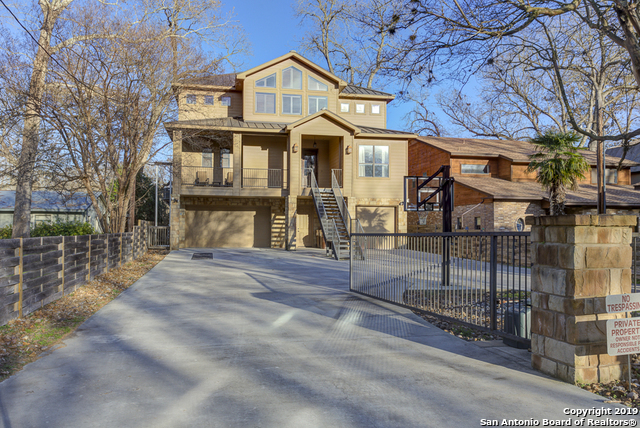 Entertainment continues in the outdoor living space featuring a large Deck, step down to the covered Patio & Hot Tub. Boathouse with electric lift and storage. Sundeck. Dock. Dbl Jet Ski Ramp. Sprinkler Sys. Lot across the str"
"Carefree fun on Lake McQueeney, room for the whole family. Multi spaces, some can be closed off. Main house has a sleeping porch, a bunk room, a separate apt that can be closed off, 2 kitchens, wrap around decking, double boathouses with electric covers, jet ski lift, a garage apt over covered deck. Apt has elevator, separate bath, mini bar (ice-maker, fridge, and microwave, walk-thru closet with W/D hook-ups, wonderful lime-stone fireplace, French doors leading to screen-in porch with electric "
"Resort style living in this impressive lake front home. Perfect for Airbnb or VRBO rentals. 132 +/- ft of Lake Placid waterfront, game room w/ fireplace on the main level, expansive deck with outdoor kitchen, dining room, and family room with wall to wall windows and rock fireplace. 7 bedrooms and 6 full bathrooms, 2 laundry areas and will sleep up to 22 people.Includes, circle drive, 2 RV hookups, public water & working water well, its own PRIVATE concrete bulk head, dock, boat ramp, and double"
"Beautiful Lake McQueeney front property on almost 1 acre. This property is on the point on Lake McQueeney, situated on a tree covered lot. The manufactured home is 2092 square feet, and the guest house is 925 square feet. There is an enclosed boat slip, storage building, walk out dock, and 128 feet of water front. Endless opportunities with this lake front property." "Cute Lake McQueeney A Frame Home. 2 Beds. 2 Baths. Open Living, Kitchen, and Dining with a great view of the lake. Large deck from back door to the lake with lots of room for entertaining. Steps down to the dock, Boathouse with electric lift, and storage area. Enter property on private street of Hideaway." 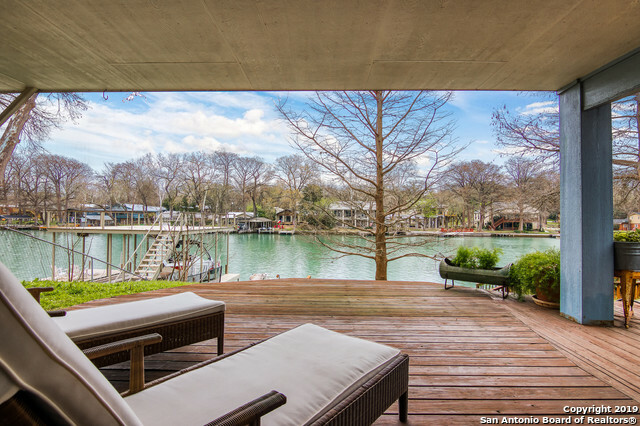 "Recent improvements to this 75 ft of prime Lake McQueeney waterfront property, includes a boat lift with upper concrete deck and separate jet-ski lift. Home is situated on a gentle sloping bank which provides the perfect unobstructed views from the limestone covered patio or large living room and master bedroom picture windows. This get-away property will be sure to suit your family and friends during every season for years to come!" "Summertime, and the livin' is easy! Welcome to your island oasis. 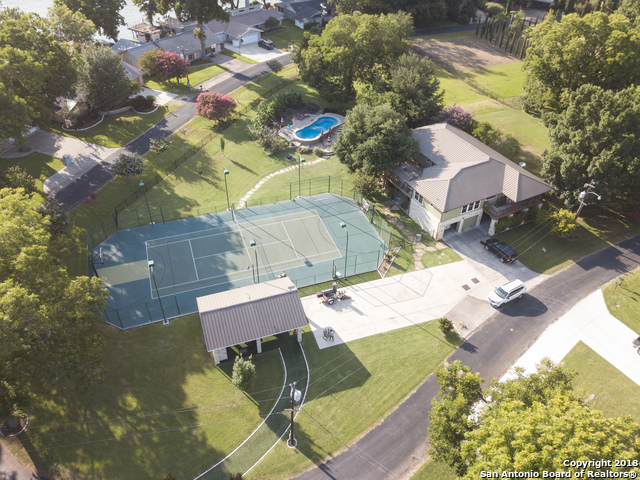 This amazing property in Treasure Island, on Lake McQueeney, has it all! On 6 lots it beautifully hosts a private volleyball/tennis/basketball court, sparkling pool, outdoor kitchen, wrap-around deck and Lake access! Large master suite w/ outside access has whirlpool bath, separate shower, and his & her vanities. Downstairs is newly finished and would be a great place for an office, workshop, bunk rooms or fitness center or 4th b"
"Come and live the Lake Life!! 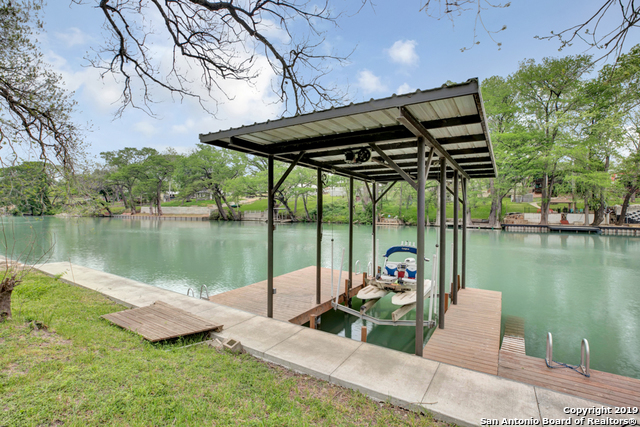 This 72' wide canal front lot comes with a brand new boat house and lift. This amazing home just went through an extensive rehab with all new carpets in the bedrooms and fresh paint and fixtures throughout. The sunroom overlooking the canal is so relaxing. The views here are awesome! 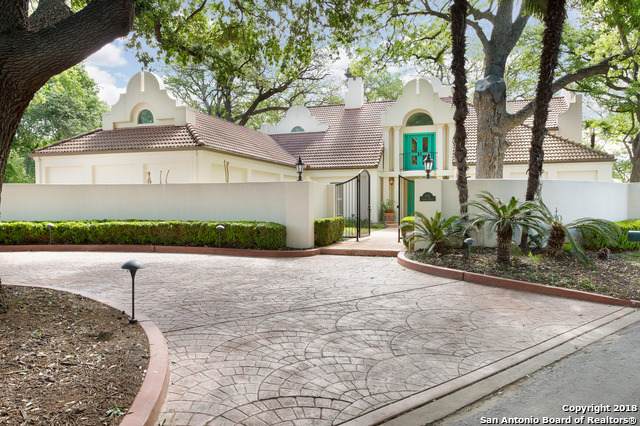 Come be a part of the coveted Treasure Island homeowner experience. CLICK THIS TOUR LINK!! https://my.matterport.com/show/?m=9BeMD9Df8hU&brand=0"
"INCOME PRODUCING PROPERTY ON THE RIVER: Unique property with further development possibilities. 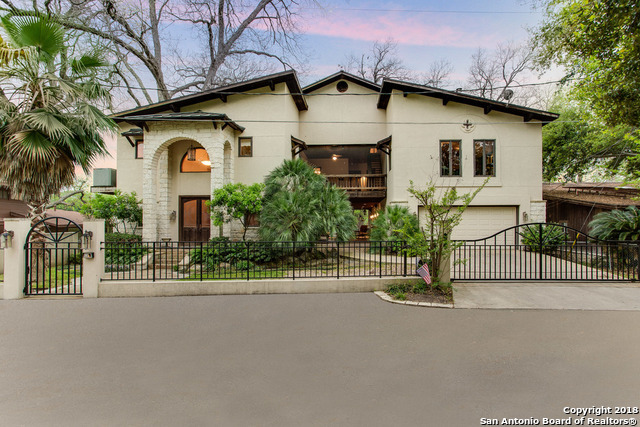 Live on the Guadalupe river on over an acre parcel. 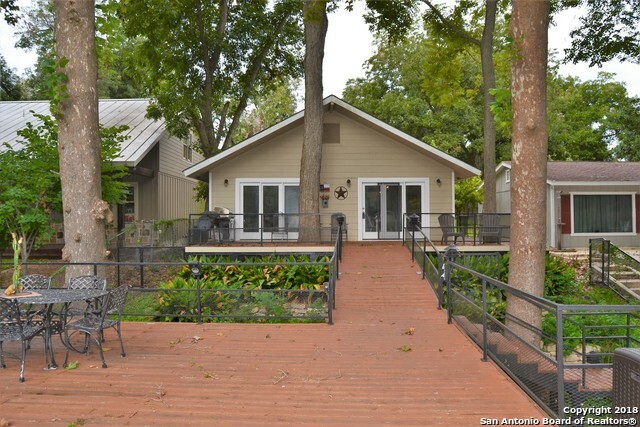 Gorgeous park-like views and deck overlooking river. Two bedroom home with an attached efficiency apartment/guest house. Possible owner financing"
"Enjoy the sophistication of this modern lakehouse with more to offer than meets the eye. This updated & style 4/2 showcases vaulted open concept living, dining and a nicely appointed kitchen featuring stainless Bosch appliances, red oak hardwood floors, sleek wood-burning fireplace, new Anderson doors and windows plus smart home features make this truly unique. 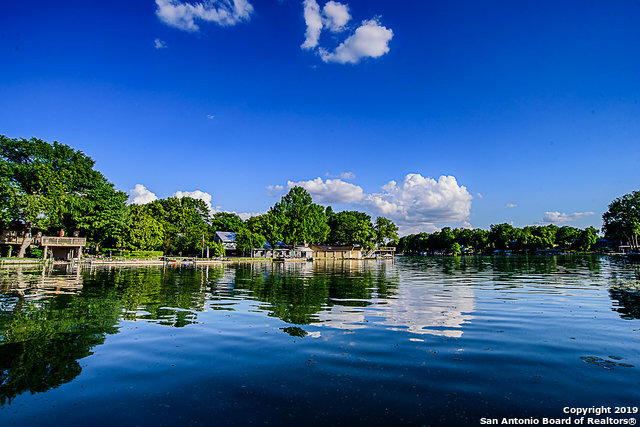 Mature trees and picturesque views of Lake McQueeney. 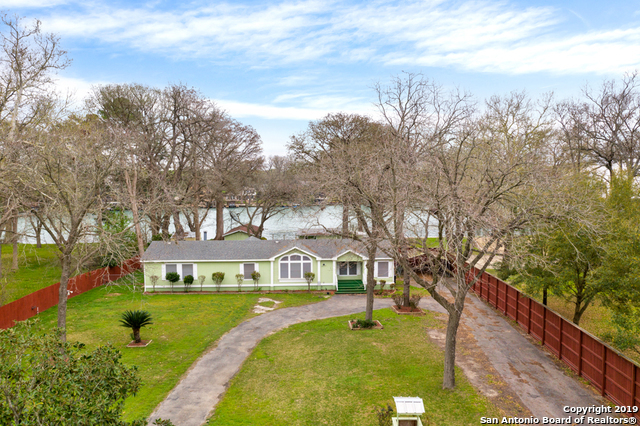 Home is conveniently located across from the Treasure Island boat ramp with full "
"Sitting on over 96 ft of Lake McQueeney waterfront, you'll find this Mid-Century 1950's gem with a covered boat-lift and retaining wall. Located in the highly sought-after Treasure Island, this home boast almost 2000 sqft of living space, 2 Living Rooms, bonus room, and updated kitchen. The over-sized 2nd LR includes a wall of windows overlooking the water. Northeast facing keeps this beautifully landscaped yard, and impressive patio shaded in the summer. 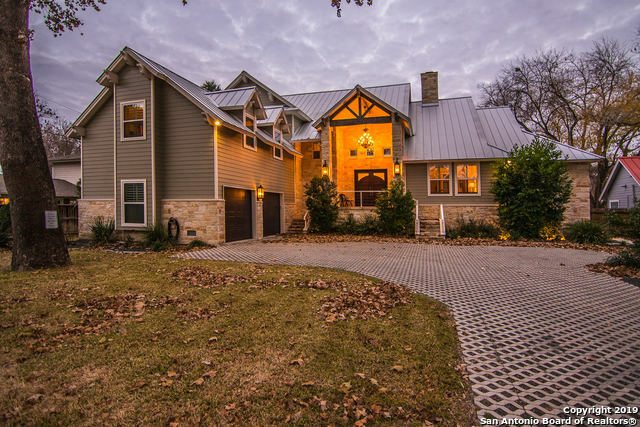 Minutes to the Ski Lodge, New Braunfels,"
"This is a Wonderful Home in McQueeney that sits on .88 of an acre loaded with mature trees. This property could be Rezoned to Commercial(please ck with the city of Seguin). The FM78 frontage totals 221 FT. Dollar General is next door and Pic N Pac is across the street. This is an older home but some updates have been made. Master is downstairs and Kitchen/Living area are Open. Large Back Yard covered patio overlooking the massive back yard." "Amazing potential. 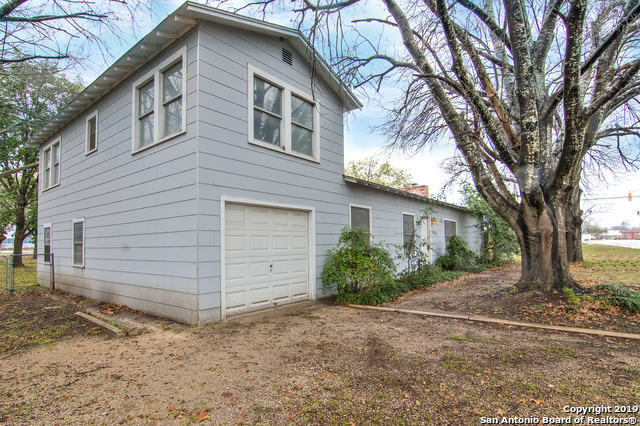 This cute 3 bedroom 1 bath home is located in McQueeney with no city tax. The home has an eat in kitchen, open concept, large covered porch, covered parking and a storage shed. This would be a great opportunity to fix up and transform this home to fit your style and desires."